There are plenty of alternatives to a wedding breakfast dessert. 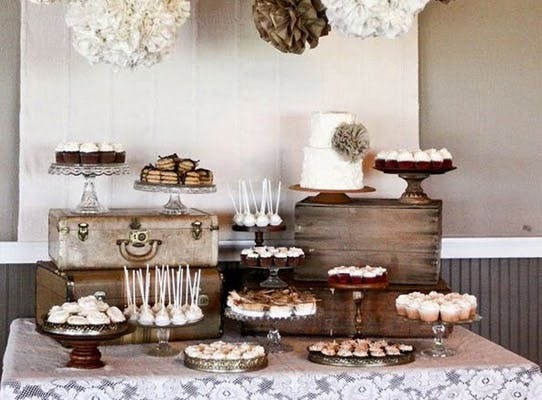 Buffet dessert tables are becoming increasingly popular. We can see why; they look adoreably pretty and they can serve a very practical purpose. 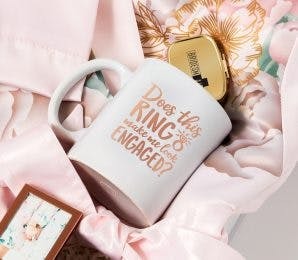 It can create a focal point at your wedding and be a conversation starter amongst your guests and you can easily decorate to match the rest of your decor or theme. The benefit of having a buffet dessert is that generally it tends to be cheaper than a wedding cake. 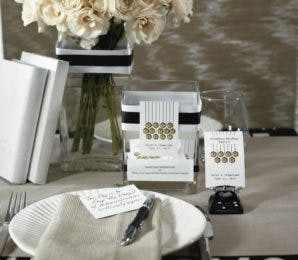 Guests can just help themselves to more if they desire, it gives them more variety and choice and is a huge opportunity for you to get creative to make something truly unique. 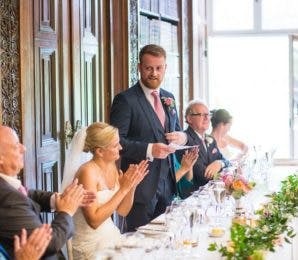 Skipping the wedding breakfast dessert allows you to cater for both ceremony and reception guests so people can pick and choose what they want throughout the wedding. This could also be a huge cost saver which is a bonus! 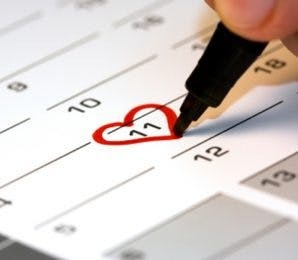 We have prepared a list of our favourite alternative wedding desserts at Confetti.co.uk. If you live by the motto “Don’t be like the rest, dear” then the donut dessert will set you apart from other more conventional weddings, and who doesn’t love donuts? For a wedding which is unique and out there, the donut dessert is a fabulous alternative. 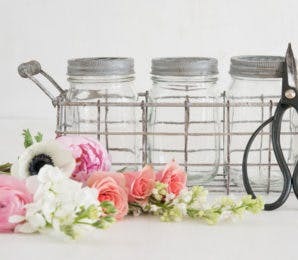 Is your wedding full of quirky accessories and decor? If yes then this idea would fit right in! Allow your dessert to be the centre of attention with a donut tower on a decorative stand to match your theme. 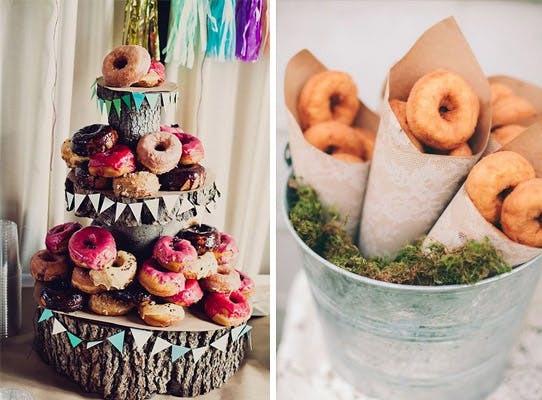 For a slightly more laid back wedding, give out donut cones to your guests to nibble on whilst mingling with other guests. This could be part of your reception as a late night snack or to be part of a table centrepiece to finish off your wedding breakfast. 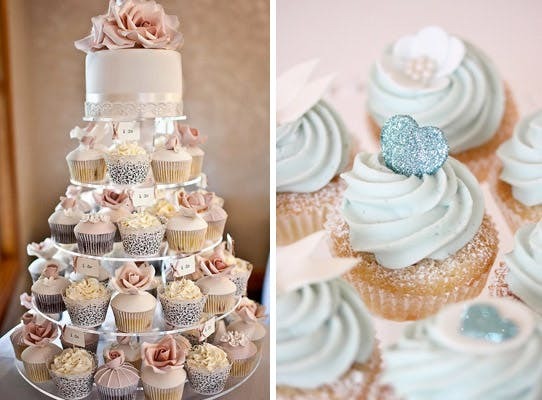 Cupcake towers are a popular choice but a multitude of opportunities to be a unique feature at your wedding. Are you worried about not being able to join in the cutting cake tradition; don’t worry, add a miniature cake on top for those perfect photo opportunities. Traditionally when fruit cakes were used at every wedding, the top tier of the cake was taken away and the cake frozen reused for the couple’s first child’s christening. The beauty of cupcakes is that it is easier for guests to grab and take home with them. A profiterole mountain is a simple but extremely tasty and effective wedding cake alternative. Bitesize profiteroles make a lighter option for people to just pick and nibble at as they please. Feel free to mix and match toppings for guests to choose their favourites. A mixture of dark, milk and white chocolate is a gorgeous combination. You will be surprised how quickly the tower will go down! 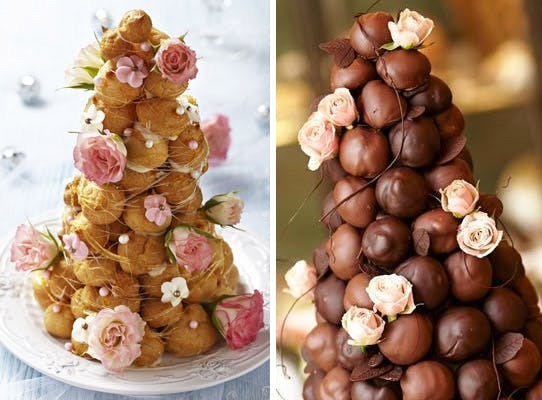 The benefit of a profiterole pyramid is that it doesn’t need many added decorations to look the part, it stands out for itself for guests to look at in awe. For the bride who has to be different (but in a good way!). 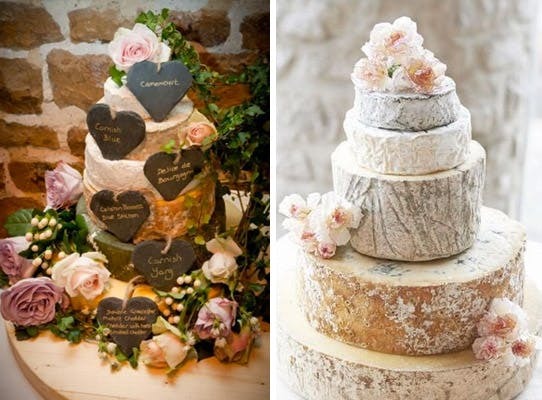 A cake made out of cheese could be a stand alone feature or an addition to a wedding cake to spoil your guests as not everyone has a sweet tooth! A cheese cake is a feature in its own right so simple decorations go a long way. Adding little tags or labels to the cheeses allow guests to order their favourite cheese after your big day and saves people coming over and asking you! The dessert which leaves your guests completely spoilt for choice. If your family (or your partner’s) is a dab hand at baking, combine their skills to create a cost effective dessert table. This could be a combination of cake pops, cakes, cupcakes, profiteroles and more. It gives guests a wider variety and spreads the work load and cost amongst a few of you. Make sure you brief your family if you are trying to stick to certain colours and themes so everything can co-ordinate in harmony. 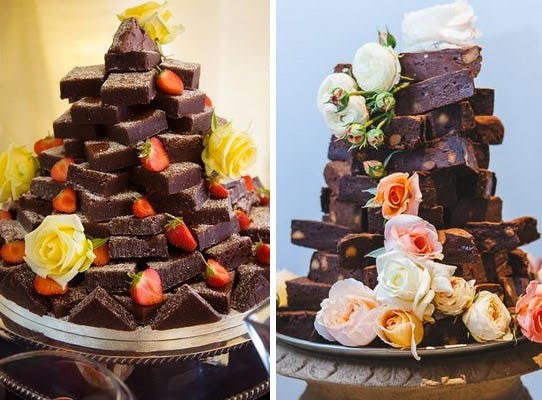 Mmmm… the mouth watering brownie tower, for chocolate addicts! Brownies are delicious gluten free if you are the guests have dietary needs, no one would even know either! Stack on a pretty cake stand or take to the next level with a stacked tower with complimentary fruit such as strawberries or decorate with flowers to match your colour scheme. Brownies is an easy take away dessert for guests to fill their boots! Faye's duties include design and monitoring user experience. In her spare time she enjoys spending time with her dog, Bandit, and going for runs with her local running club.